A fun desserts word search printable with 24 tasty desserts to find. This word find puzzle is great for kids, but challenging enough for adults to enjoy as well. From reinforcing vocabulary to improving pattern recognition, printable word searches are a great way for kids to have fun while exercising their brains. And if you have spent any amount of time on the Crayons & Cravings blog, you will know that I am crazy for desserts. 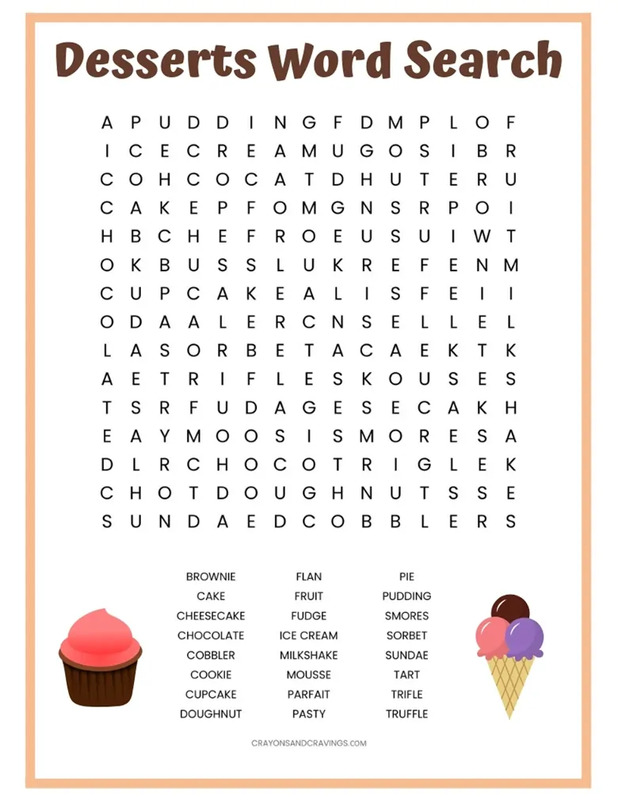 That is why I decided to make a dessert themed word search printable to share with you all. Caution: This word search may cause doughnut cravings! But in all seriousness, this is a fun little activity that would be perfect for teachers to hand out in the classroom. And with 24 words to find, it is challenging enough for adults to enjoy as well. Note: Words can be found going horizontally, vertically, or diagonally. No words will be hidden backwards. 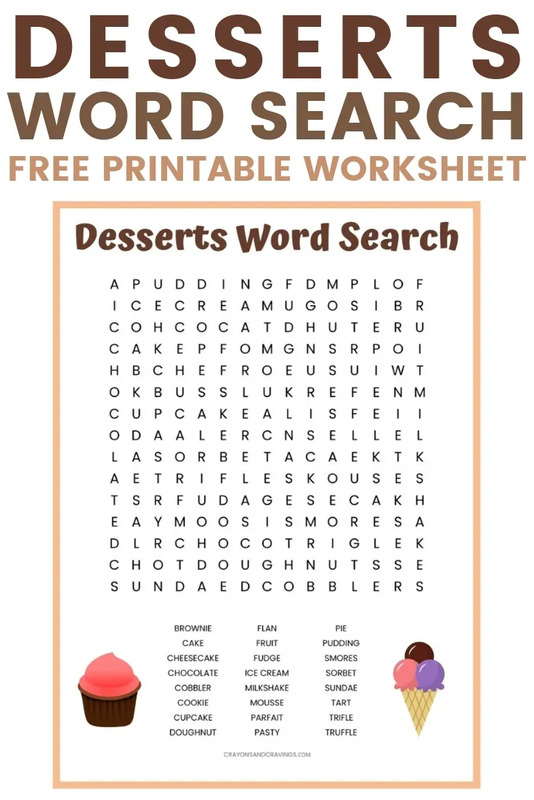 Click the link below to download the dessert word search PDF. Then, you can print out the worksheet on your home computer. I really enjoying creating printables and could use some more ideas of printables to make and share with you all. If you have any suggestions of what I should make next, please drop them in the comments below.